DART’s transit system covers more than 700 square miles connecting communities across North Texas with accessible and reliable transit. As an interconnected, multi-modal network, residents and visitors now have more mobility in a region where people have previously relied on personal vehicles. Linking North Texas to the Education Corridor and South Dallas. With DART’s Blue Line extension opening for service, students at UNT Dallas, Paul Quinn College, and Cedar Valley College will have access to job opportunities, cultural events, and social engagements throughout the region. Vice versa, North Texas residents are now connected to education opportunities at these institutions. Spurring economic growth for all of North Texas. Expanded transit drives development, job creation, and increases tax revenue. Transit-oriented development has already generated $69 million in tax revenue, and over 2014 to 2015 spurred 43,000 new jobs, and $3 billion in wages. 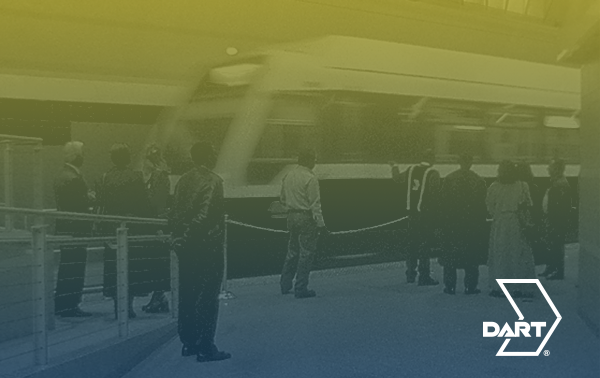 DART’s reach extends beyond its 13-city service area, bringing cultural, educational, and social opportunities for you to explore right in your backyard. Flexible, multi-modal transit service is key to investing in North Texas, ensuring economic prosperity via a mobile region for all.